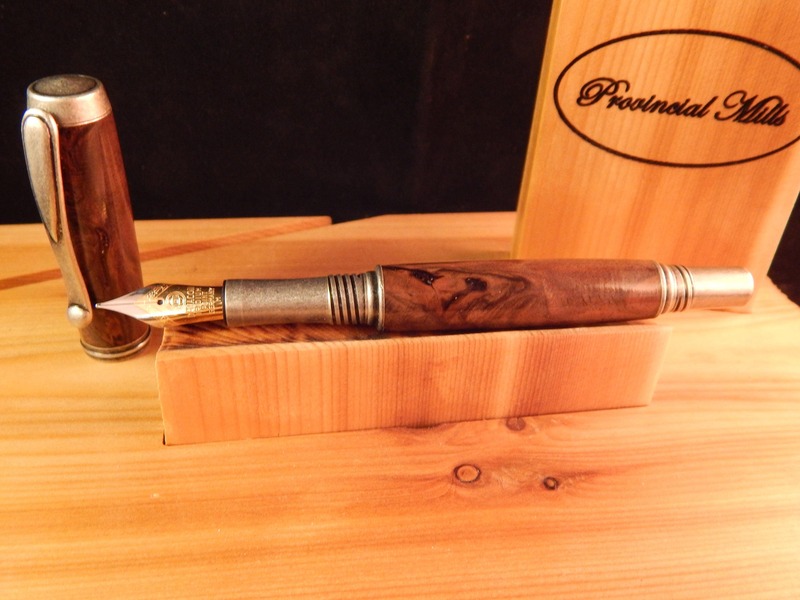 This Venetian fountain pen was crafted from figured walnut from Colorado and matched with antique pewter fittings. 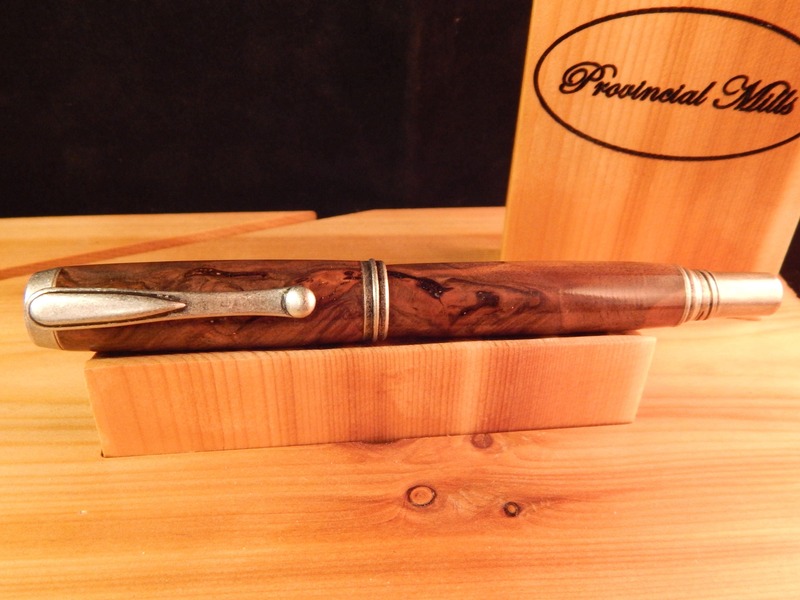 This is a well balanced pen that features solid fittings. 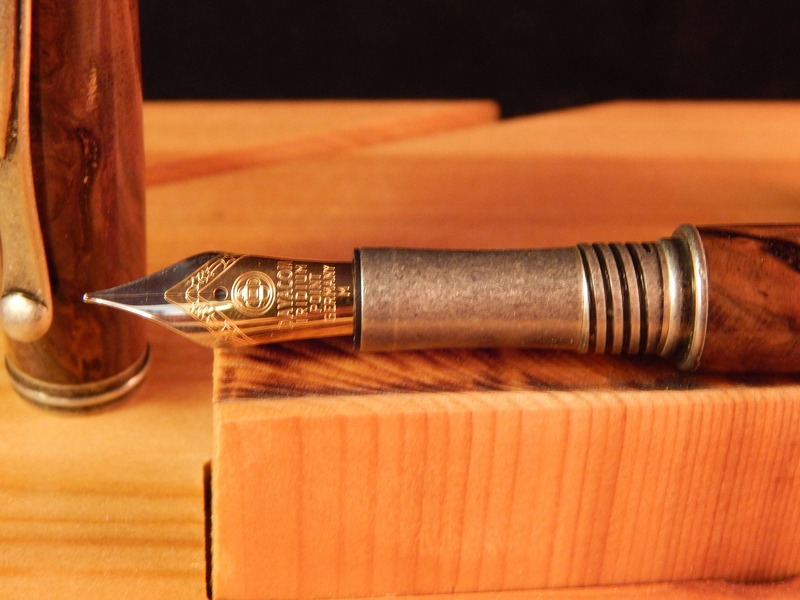 The pen features a screw on cap that can also be posted to the back of the pen while writing. 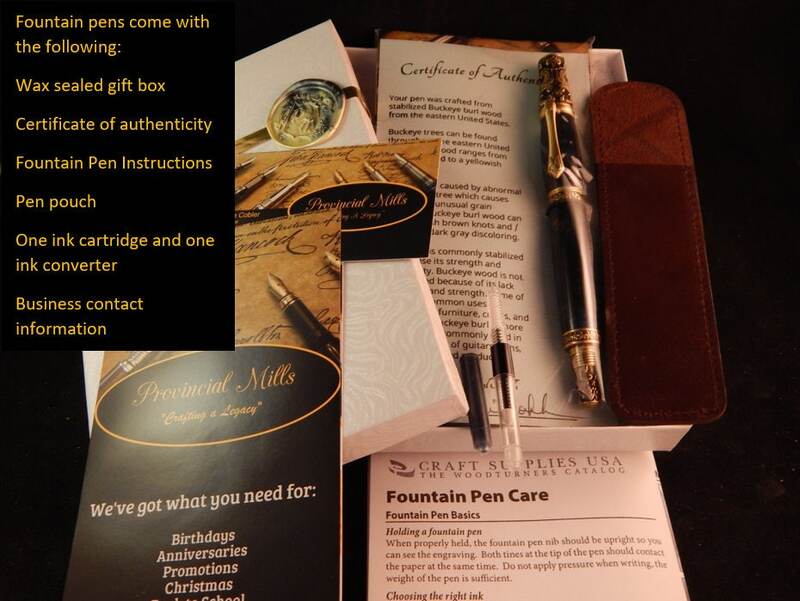 The pen nib is iridium tipped Jowo #6 and the pen comes with one ink cartridge and a refillable pump. 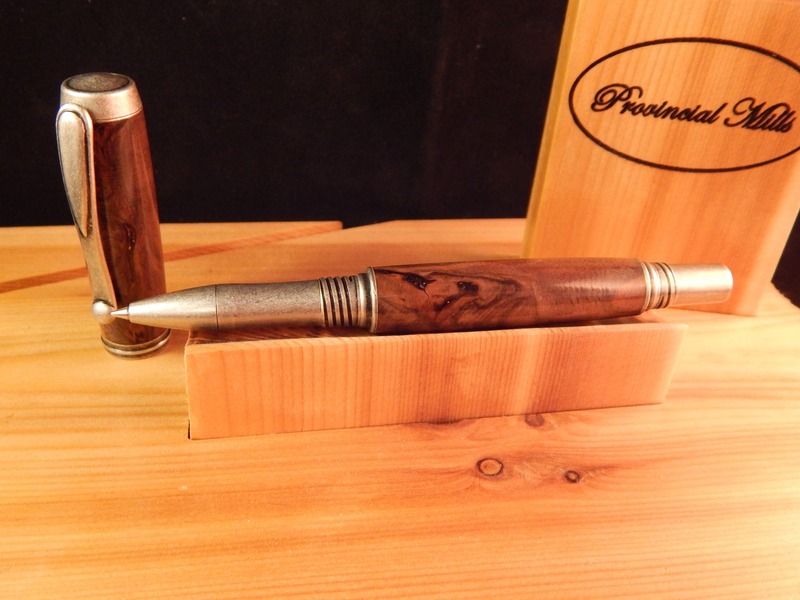 There is also an option of purchasing the rollerball tip to easily convert the pen. 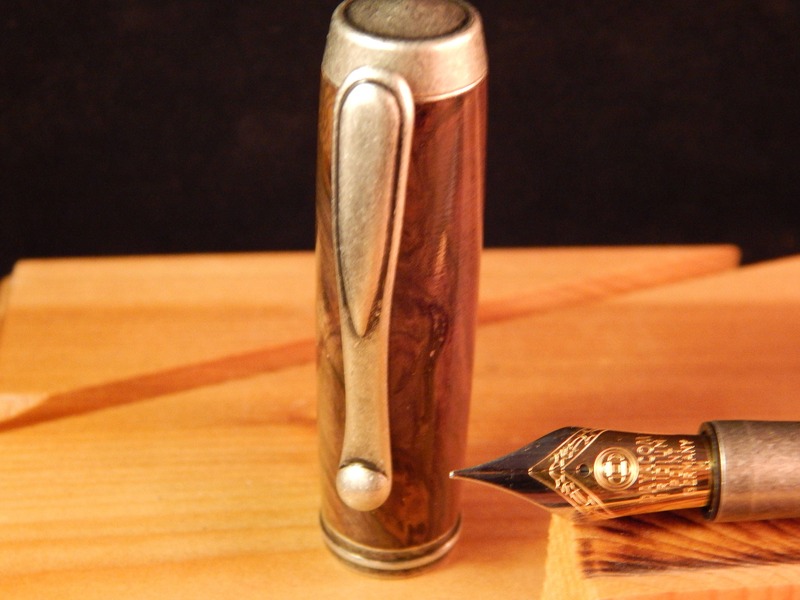 To convert the pen into a rollerball, simply switch out the tip of the pen and insert the rollerball refill. Walnut trees can be found throughout North America, South America, Europe, and Asia. 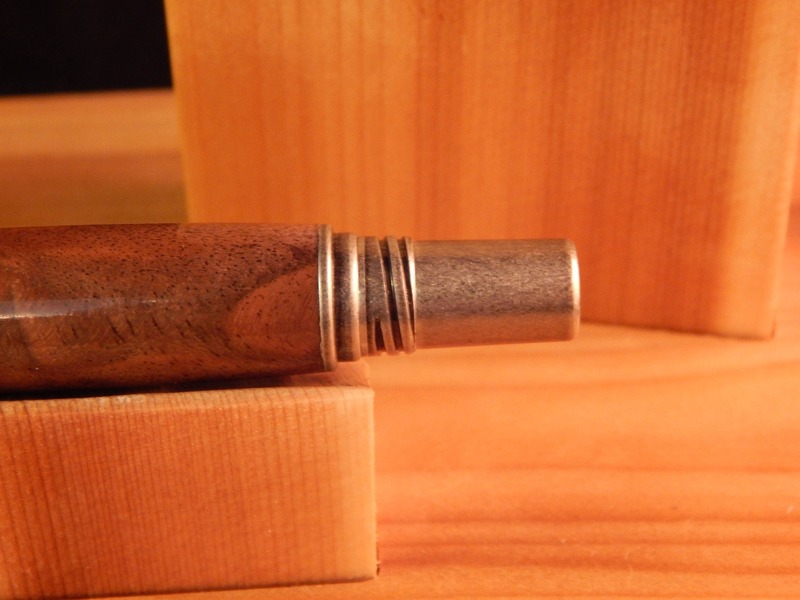 Heartwood can range from a lighter pale brown to a dark chocolate brown with darker brown streaks. Color can have a grey, purple, or reddish cast. 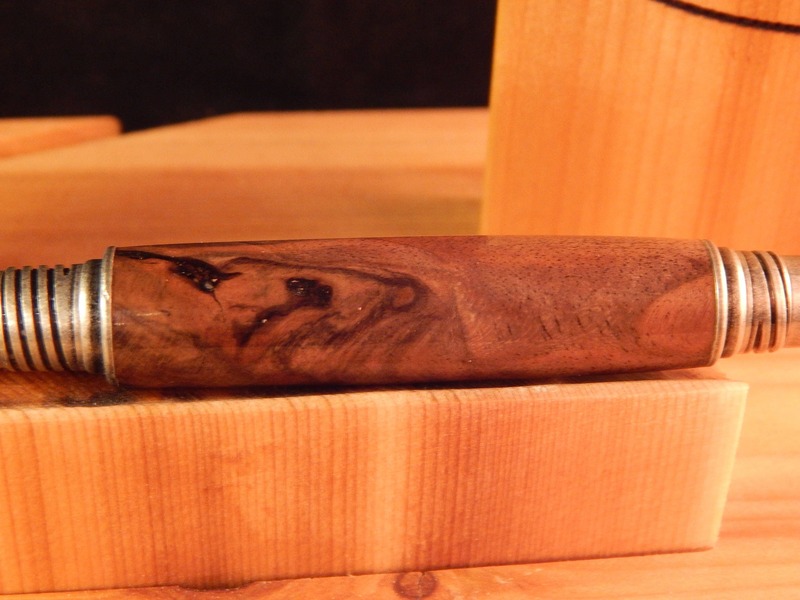 Walnut wood is highly prized for furniture and gun making. 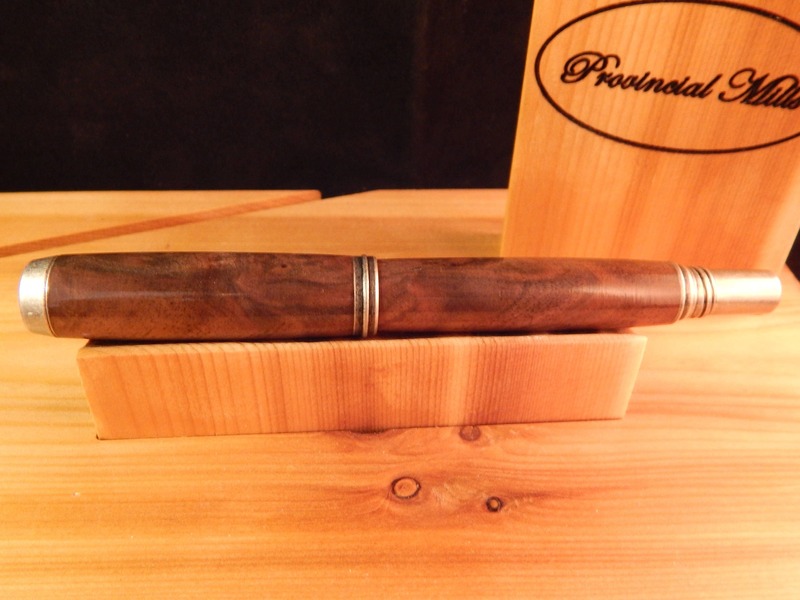 Walnut wood is a hard wood and is one of the most traditional woods used in wood crafting.